You can use the main window for general operations such as importing files, managing movies, playback and editing videos. Check description for each part in the main window to know more details. (1). 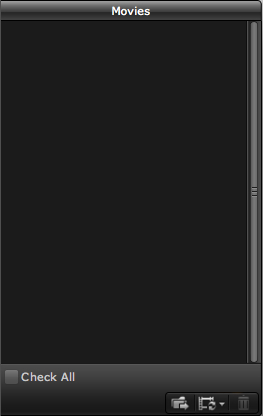 Navigation Bar: Functions are arranged by item. Create A Movie For Lossless Output: Click to create a blank movie where you can drag and drop videos with same format and parameters from Resource Tab then merge them and export losslessly without recoding. Create A Movie For Conversion: Click to create a blank movie where you can drag and drop all MTS/M2TS/MOD/TOD videos from Resource Tab, then merge them and convert to another file format. Exit: Click to exit the program. 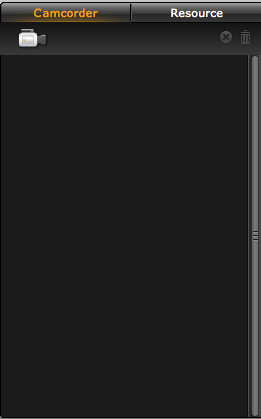 Duplicate Selected Movie: Duplicate the movie you selected in Movies Tab. Delect Selected Movie: Delete the movie you selected in Movies Tab. Rename Selected Movie: Rename the movie you selected in Movies Tab. Clear All Movies: Click to clear all the movies in Movies Tab. Delete Selected File: Delete the file you selected in Resource Tab. Delete All Files: Click to delete all the files in Resource Tab. Preference: Click to configure options. For more info, please click “Preference”. Language: Choose the language you prefer. Help: Click to read the tutorial about how to use the program. Buy: Click to purchase the program. About: Click to check the program version. 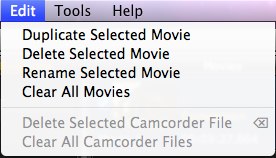 Camcorder Tab: You can directly click “Wizard” to import your recorded video files from camcorder with the camcorder connected to your Mac. 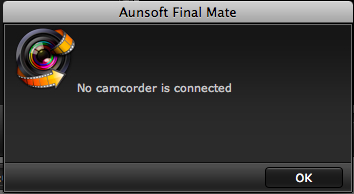 If there is no camcorder connected, you will get an error message: “No Camcorder is connected”. : Click to delete selected files under Resource Tab. : Click to remove all files under Resource Tab. Resource Tab: you can easily change the path and display the videos you need to use. Double-click one video for playing in the inserted player on the right. : Click to open the path you selected. : Click to browse computer and add a new path. : Click to delete the selected path. (3). Movies Tab: It allows you to create movies and the movies will be displayed in this area. 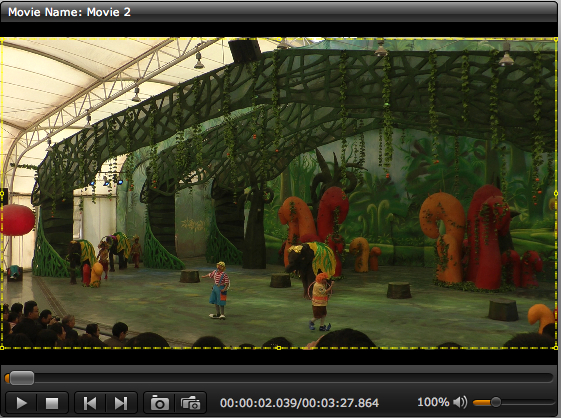 You can edit selected movies on the timeline and then export to desired format. You can create one movie with several video clips or one clip. : Tick the box to check all movies. Now it is “Uncheck All” status. Click create_new_movie.jpg button to choose a method for creating or adding a blank movie. 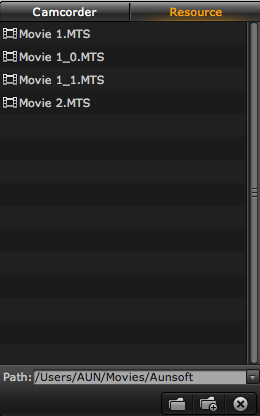 There are two ways to create a blank movie, “For Lossless Output” for “For Conversion”. For Lossless Output: Click to create a blank movie where you can drag and drop videos with same format and parameters from Resource Tab, merge them into one and output losslessly without recoding. For Conversion: Click to create a blank movie where you can drag and drop all MTS/M2TS/MOD/TOD videos from Resource Tab, merge them and convert to another format. : Click to change output path. : Click to clear all the movies under Movies Tab. Allows you to preview the video clip or movie you select. You can also take immediate snapshots. Play or Pause: Play or pause the selected video clip or movie. Stop: Stop playing the current playing file. Prev Frame: Click to view previous frame of the current playing file. Next Frame: Click to view next frame of the current playing file. Open: Open the snapshot file path. Adjust Volume: You can mute the playing file or increase volume up to 400%. 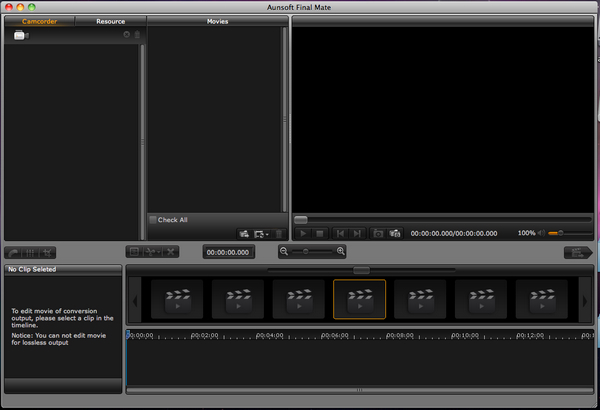 You can edit movies on a timeline, such as splitting, merging video clips, adding background music, etc. Timeline includes five parts: Editing Tool Bar, Scale Value, Vernier, Movie track, Zoom tool. Export: Click to export your movies. Thank you for choosing Aunsoft! Very glad to have you as our valued customer. We have special offers for users who purchased our program from App Store. Please kindly contact with macsupport@aunsoft.com for the detail. It is highly appreciated if you could share with us your user experience. We need your kind feedback or suggestion to help us become better. You are welcomed to contact us at macsupport@aunsoft.com. What can you do with the program?